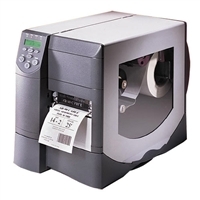 Weber occasionally has some great deals on new or used labeling systems and printers. Check back here to see what is available. These systems are brand new or have been remanufactured and checked to be in full working order. If you have questions and need more information, contact us at 1.800.323.8519 to talk to a labeling expert. 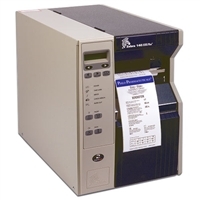 Refurbished label printer. 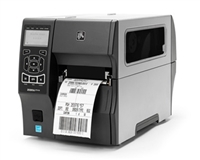 The ZT410 label printer features easy side-loading supplies path, USB, Serial, 10/100 Ethernet and Bluetooth connectivity. Includes optional UHF RFID encoder. This printer prints 300 dpi at speeds up to 10 ips. Memory includes 256 MB RAM memory and 512MB Flash memory. 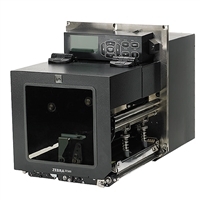 Maximum print width is 4.09"
Herma 400 motorized label unwinder system is an intelligent, bolt-on component that adjusts automatically to the labeling speed of your Herma H400 label applicator. Refurbished ZT510- features include Zebra's world-renown print mechanisms and internal components, all-metal design, rigged construction, advanced Link-OS capabilities, ENERGY STAR qualified, USB, Serial Gigabit and Bluetooth LE communications and much more. 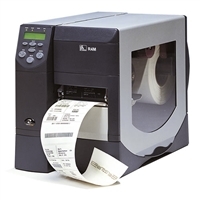 Label print width up to 4.09" (104mm) at speeds up to 12"/second. 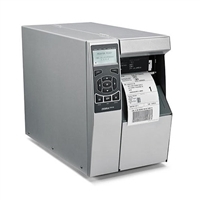 Refurbished T-Base stands for Weber Model 5100/5200/4300 Label Printer-Applicators. Good condition.